Brick and mortar store owners are challenged with tough work when it comes to successful targeting. Imagine they knew every visitor personally. Imagine how would their revenues grow with each year if they could know what every single customer wants and predict what would they buy in the near future. Imagine they could use that information to send out specifically tailored deals, to keep in touch every now and then, and to track whether the customers are satisfied. It’s called personalization. Offline shops may still be far away from this scenario, but there are others who are turning the odds in their favor with it. Physical store owners have begun to adapt their strategies towards easier personalization with data collection software. Still, online sellers have a major advantage over brick and mortar competitors due to a simplified collection of consumer data and personalization technologies that are integrated into their websites. But not all retailers are using the same approach. Sadly, a lot of them often forget one crucial fact. The more customer-driven data eCommerce integrates into its marketing strategy, the greater are the chances of converting viewers into buyers. It’s true that the process of personalization encompasses the search for people’s interests and buying habits to offer them customized purchasing experience. Nevertheless, there’s much more to it than just that. 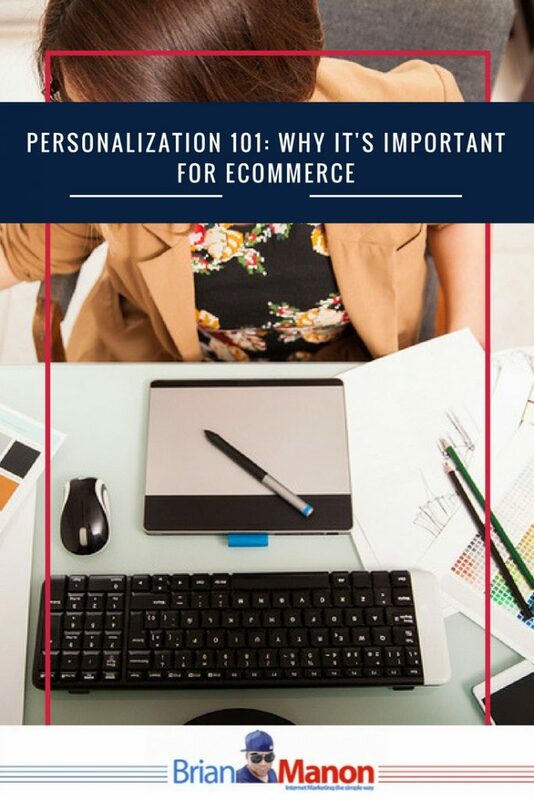 Online retailers have a plethora of options to choose from, so let’s look at some pivotal types of personalization and their benefits. Predictive personalization is the basic method of offering the right content to customers. It includes collecting the tracks visitor leaves when he scrolls through the site. Those tracks are then segmented and analyzed to create relevant recommendations. The practice can sometimes be annoying to certain users since it appears in the form of “People who searched for… also searched for…”. Now, you may think that recommendations for items cannot be based solely on the buying behavior of other people. Think again. The biggest online retailer Amazon can prove you wrong. They pioneer in predictive recommendations. Actually, 35% of their revenue comes from recommended purchases. It would be impossible, of course, to track more than 250 million Amazon users worldwide without the use of the software. That’s where improved algorithm-based systems come into play. Amazon developed a method where recommendations are made on the product level rather than the user level. Smaller eCommerce businesses can take notes. They may not have the ability to use the most efficient software, but predictive personalization is surely a tactic worth trying. When collecting data about purchase history and on-site activity, online retailers should consider using it for navigational personalization. This type allows prioritization of items in the online shop, thus making it more likely for the user to purchase them. Google Analytics’ User ID helps to track browsing habits on customers’ devices for easier personalization. Navigational personalization works like this: a potential buyer creates an account on an eCommerce website. He then searches for cowboy boots. After deciding not to finalize the purchasing process, he leaves. User ID then gathers the data and next time the user logs in, the cowboy boots category will appear first on the website. Third-party data can provide great information about a specific audience. It’s essentially buying data from another vendor for higher level insights. Companies like BlueKai, Lotame and Acxiom gather and sell information to help targeting and personalization. Using this kind of information comes in handy when we need behavioral or demographic targeting. Explicit collection – This type is provided by the users themselves via their account information or the surveys they fill out. It usually describes their interests and context. The data stays unanalyzed since there’s no need for investigating direct information. Implicit collection – When we cannot gather explicit data, implicit data has to make up for it. This information is not directly handed to the retailers, so they need to keep track of user’s behavior, his browsing history, and his preferences. Some of the eCommerce websites have mastered personalization and brought it to a level of a new scientific discipline. Let’s look at few important personalization examples from companies that either work exclusively as an eCommerce brand or exist in brick and mortar as well. Amazon is really the winner when it comes to online retail revenue. This Seattle-based company made almost every part of their website filled with personalized content. Except for shopping history, they gather data about users’ location, provide a personal greeting and recommend products based on the time of purchase, ratings or likes, and changes in the interests of other customers like you. Blue Nile is a retailer of fine jewelry based in Seattle. Their way to achieve higher sales works slightly different than the one of Amazon. By gathering user data, they show alternative item suggestions when a certain visitor wants to abandon the shopping cart. This fashion retailer based in London knows how to get close to its customer base. Dorothy Perkins provides a customized salutation for users and offers customized deals. This company also merges the holiday time with personalization to offer even bigger discounts to the buyers. Even though physical store owners may not have an eCommerce shop, they have already begun relying on online tools which help them significantly in their quest for ever-important buyer information. Their online competitors have developed better algorithm systems that give them a greater advantage in delivering the right personalized content. Personalization process can differ from retailer to retailer, but at the end, they’re all chasing the same dream. To win the hearts of the viewers so that conversion rates can grow. Ecommerce would not function without customized approach to users. Therefore, it is in every online seller’s best interest to gather important data and make personalization matters. Thank you for the insightful post. I am a new online business person and this was a good read for that.